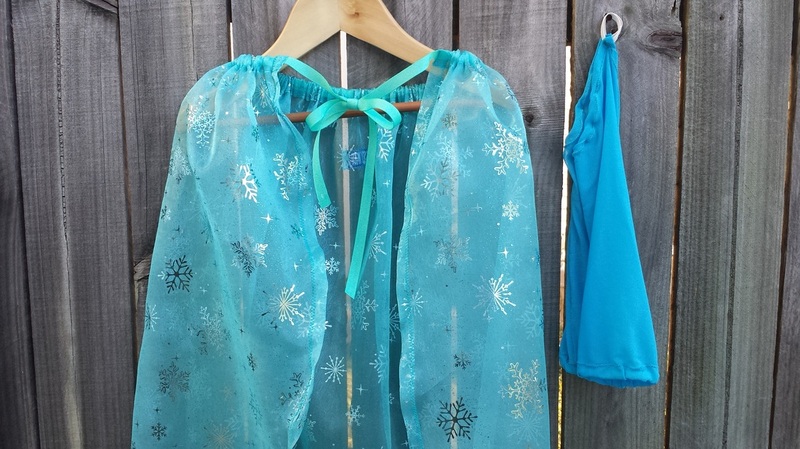 Queen Elsa inspired long flowing cape and matching gloves for freezing everything in your FROZEN world. 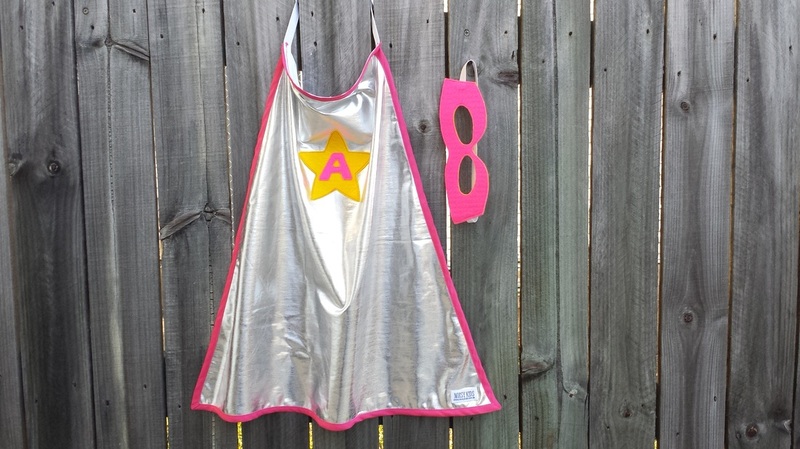 Queen Elsa Cape and Queen Elsa Gloves are also sold separately. 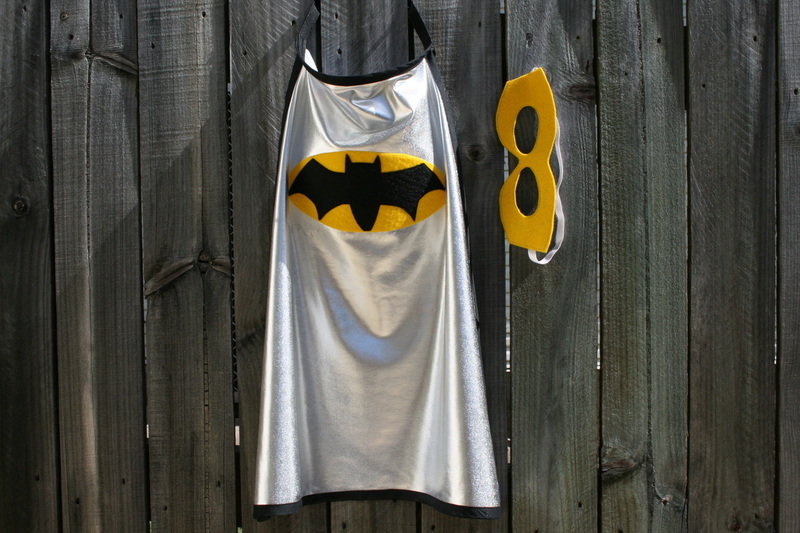 What little boy would not love this set??? 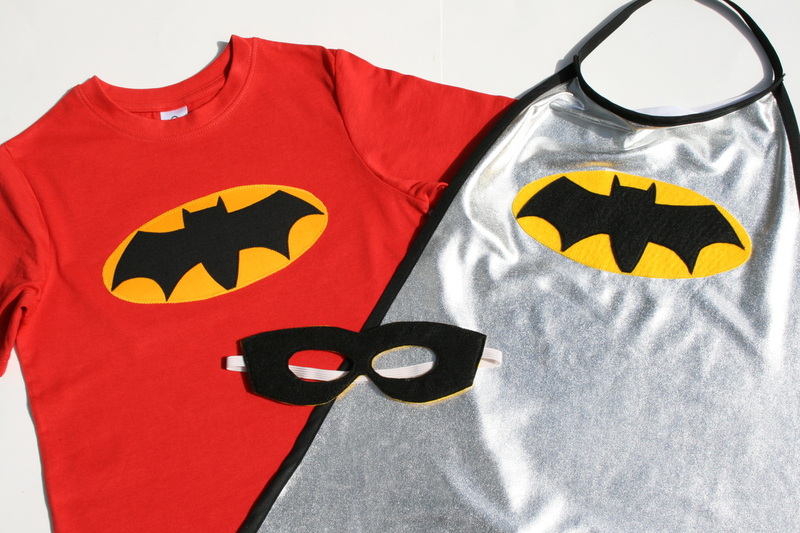 A Batman T-shirt, Bat Super Cape and a Black and Yellow Reversible Super Hero Mask. If you like something in this set each item can be purchased separately. 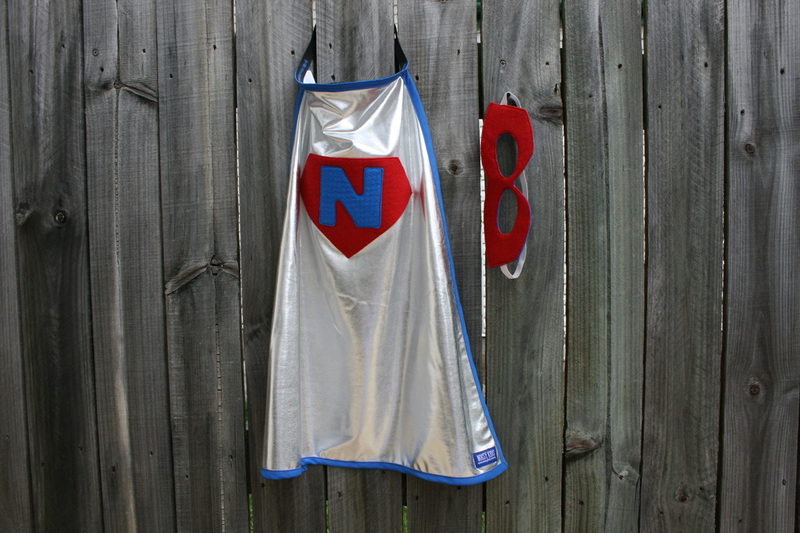 Make your super hero special with their initial on their t-shirt and super cape. 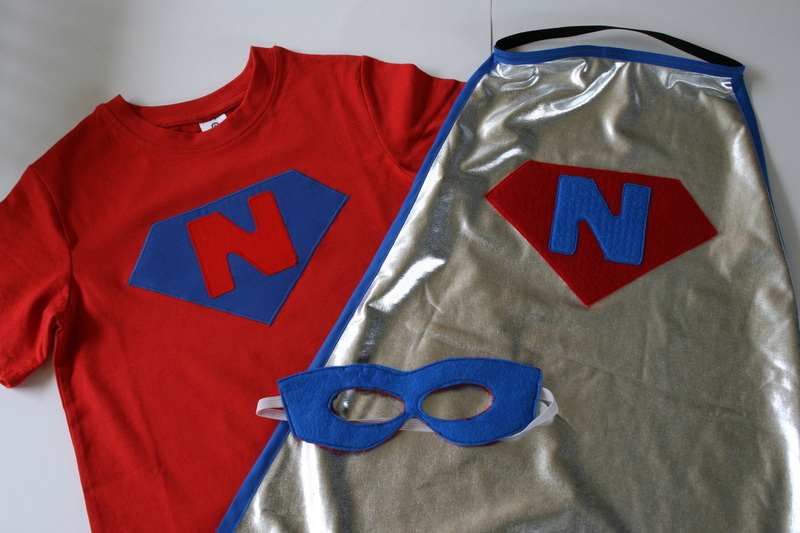 A Personalised Super T-shirt, Personalised Super Cape and a Blue and Red Reversible Super Hero Mask. Each item can also be purchased separately. 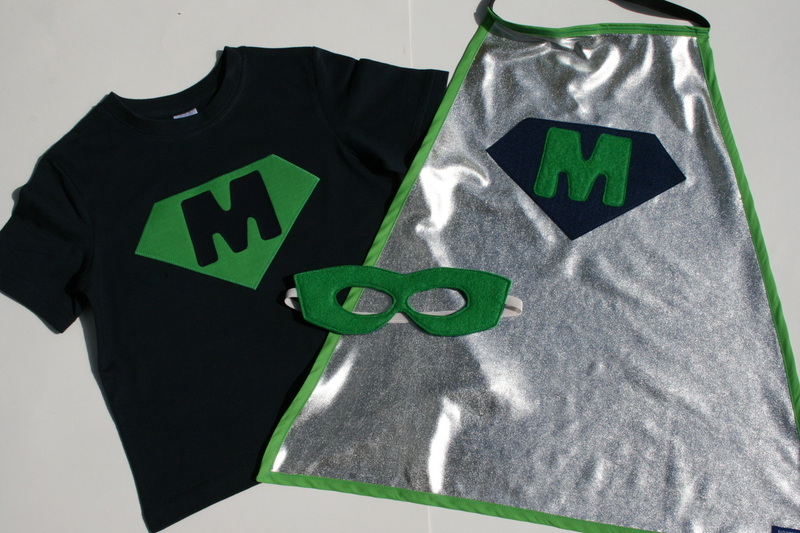 This Personalised Super Cape and matching Green and Navy Reversible Super Hero Mask make up the essentials for any Super Hero. 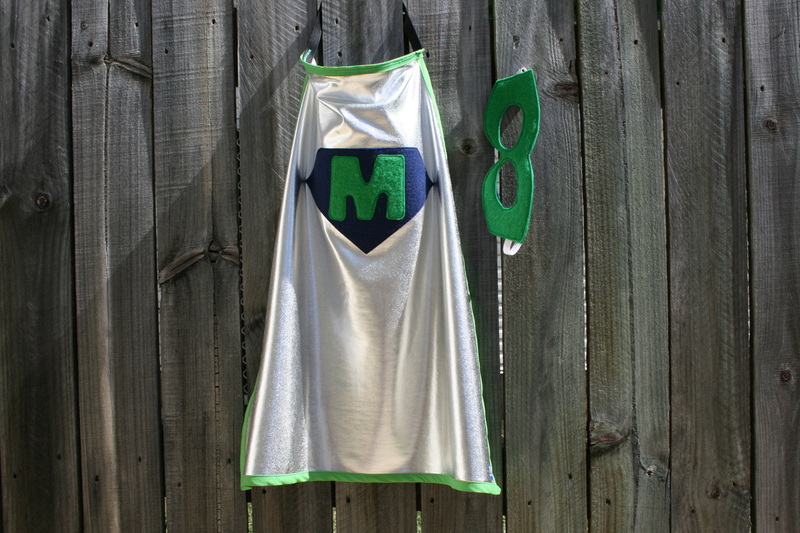 All of these items are handmade by me and so they can be customised to whatever colours or sizes you need. If you wish to order a single item please use the Order Forms on the bottom of the appropriate page. If you are after a Super Set please email me with the details of the set you are after including the colours, sizes and products you are after. 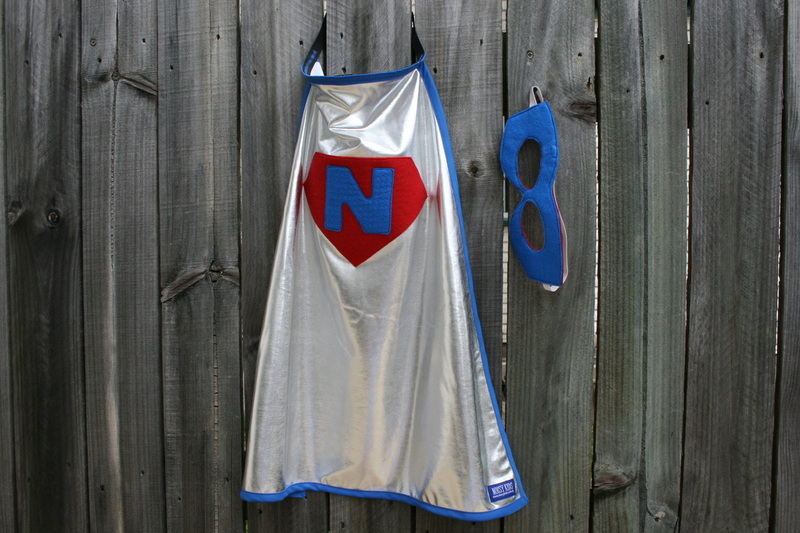 All orders are handmade for you so if there is something you are after, please let me know. Once I receive payment for you order, I will begin making your order. 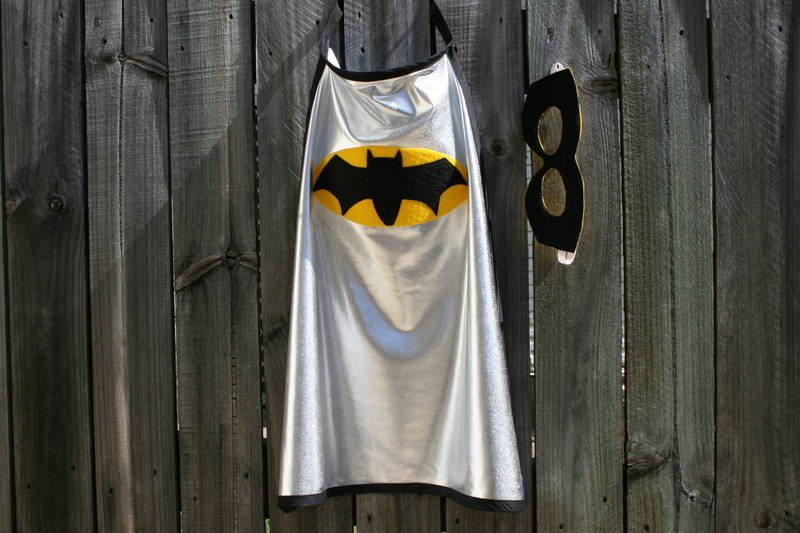 It will take up to 2 weeks for your order to be handmade depending on the craziness of my house at the time. I will lovingly make your items, I will never send you any item I am not 100% happy with. Postage for your order (no matter how many items you order) is $4 inside Australia via regular Australia Post. Depending on where you live delivery can take up to 1 week.